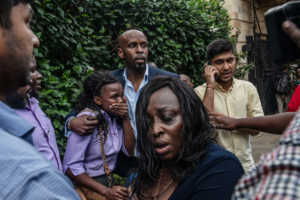 A man who was caught up in the Nairobi terror attack has been found safe and well after sending a series of frantic tweets declaring his love for God and his family. 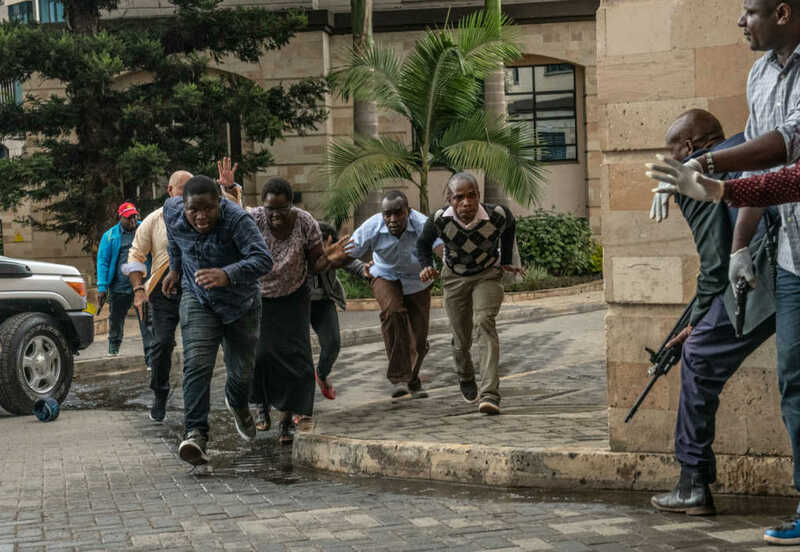 Ron Ng’eno was trapped inside the seven-story DusitD2 Hotel when Islamic militants burst into the complex, set off bombs and opened fire indiscriminately. Later, after security forces claimed they had “eliminated” the threat, Ng’eno tweeted that he was safe. Dear all thank you for your support. I am now out and at home with my family. Thanks to the brave @NPSOfficial_KE @kdfinfo for risking their lives to save others. Officially released figures suggest that 14 people are confirmed dead. However, according to the Kenya Red Cross, that number could be as high 24. Among them, a British man and an American man. The U.S. citizen has been named as Jason Spindler, who was the CEO of a strategy and investment company. Jason was in Kenya attempting to “make a positive change in the third world in emerging markets,” according to his mother, Sarah. “Jason is Co-Founder of I-DEV, and has 15+ years of experience advising large and small corporations on growth, management and financial strategy,” reads his bio on the company website. How exactly did the attack unfold? At about 3 p.m. local time, four heavily armed militants began throwing grenades at cars parked outside the hotel complex before storming the building and opening fire indiscriminately. There have been reports that the men had been spotted scouting out the compound over recent days. Eyewitnesses have been describing the absolute horror of coming face-to-face with the murderous attackers. “I just started hearing gunshots, and then started seeing people running away raising their hands up and some were entering the bank to hide for their lives,” another woman told Reuters. At about 11 p.m., Interior Cabinet Secretary Fred Matiang’i declared that the entire complex had been cleared by the authorities and that the threat had been neutralized. However, there was confusion over the status of the attack after people reported explosions and gunfire several hours after authorities confirmed the siege had ended. In one tweeted picture, Kenyan soldiers were seen praying before heading in to rescue the stricken civilians. Somali Islamic terror group al-Shabaab has claimed responsibility for the massacre. According to The Guardian, western and regional security officials have said that Kenyan intelligence services had received information that al-Shabaab was plotting terror attacks on high-profile targets around Christmas and New Year. The site of the latest attack is located just a mile away from the Westgate shopping center, which, in 2013, was the scene of an al-Shabaab attack that claimed the lives of over 70 people. According to the BBC, a barista at the Riverside complex was convinced that he recognized one of the attackers as a client. In response to the attack, Kenyan President Uhuru Kenyatta has vowed to bring those behind the attack to justice. “We will seek every person involved in planning, funding and executing this heinous act,” he declared. Do pray for all those caught up in this horrific and evil attack.